Still from Media Design Practices students Elaine Cheung’s and Shan Shen’s Connected Mobility. Last week, Chevrolet announced that more than a dozen of its 2016 cars and trucks would be compatible with Apple’s CarPlay and Google’s Android Auto, the tech giants’ competing in-dash interfaces for vehicles that connect to the driver’s smartphone. Considering both CarPlay and Android Auto were only publicly announced last year, the speed of Chevrolet’s adoption of these interfaces could signal a sea change in how quickly automakers respond to consumers’ demands. Geoff Wardle, executive director of Art Center’s graduate Transportation Systems and Design program, says Silicon Valley’s forays into the transportation arena have lit the proverbial fire under Detroit. “Mmm, pan dulce,” said Mayor Eric Garcetti. Around the Green Room table behind the Los Angeles City Council Chambers, diverse leaders gathered around cafecito and conchas de vainilla o chocolate. It was 8:30 a.m. on a cool Saturday morning. Our disciplines ranged from transportation and interactive design to Smart Grid technologies, and from electric vehicle infrastructure and urban planning to community economic development. 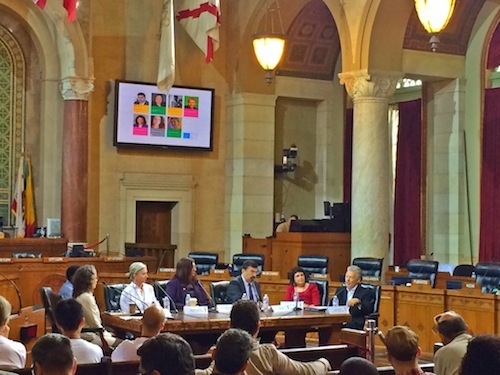 We came together at the invitation of Mayor Eric Garcetti and Peter Marx (Chief Innovation and Technology Officer) to galvanize the technology track of #techLA– the city’s inaugural Technology and Innovation Conference held in City Hall. Tasked by Marx with facilitating a panel on the future of mobility, I seized the opportunity to spark an interdisciplinary conversation on the topic. Representing Art Center with me were two respected innovators: Geoff Wardle (Executive Director of the Graduate Transportation Design program) and Maggie Hendrie (Chair of the Interaction Design undergraduate program). Later that day, Art Center Graduate Transportation student, Retro Poblano, also presented his research on automated shuttles to the public. 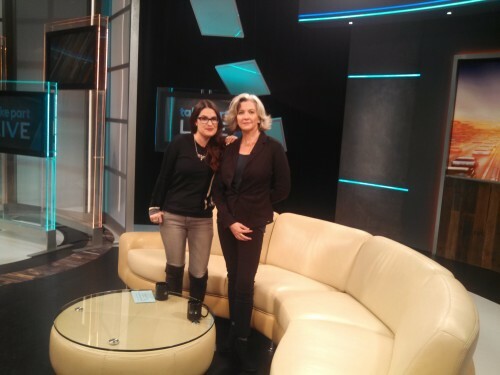 Don’t miss two lengthy, live interview segments we arranged for Interaction Design Chair, Maggie Hendrie and ACCD student Alex Cabunoc on the new cable program TakePart Live—a show tailored to Millennials (age 18-34) that reaches 40 million-plus households through Participant Media’s Pivot TV network. (Participant Media is the award-winning, socially and politically progressive production company responsible for An Inconvenient Truth, The Cove, Lincoln, among other enlightening and edifying films and TV shows). 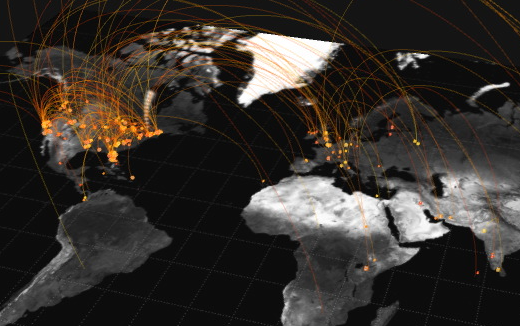 A still from artist Jer Thorp’s “Just Landed” (2009), a work that visualizes tweets from air travellers. On Thursday, May 23, Art Center, Caltech and NASA JPL hosted From Data to Discovery, a one-day symposium on the emerging science of big data visualization that attracted leaders of the field from across the nation. Speakers included Fernanda Viégas and Martin Wattenberg, co-leaders of Google’s “Big Picture” visualization research group in Cambridge, Mass., Jer Thorp, an artist and cofounder of the New York-based multidisciplinary research group The Office for Creative Research, and Golan Levin, an artist and director of The Frank Ratchye STUDIO for Creative Inquiry at Carnegie Mellon University. 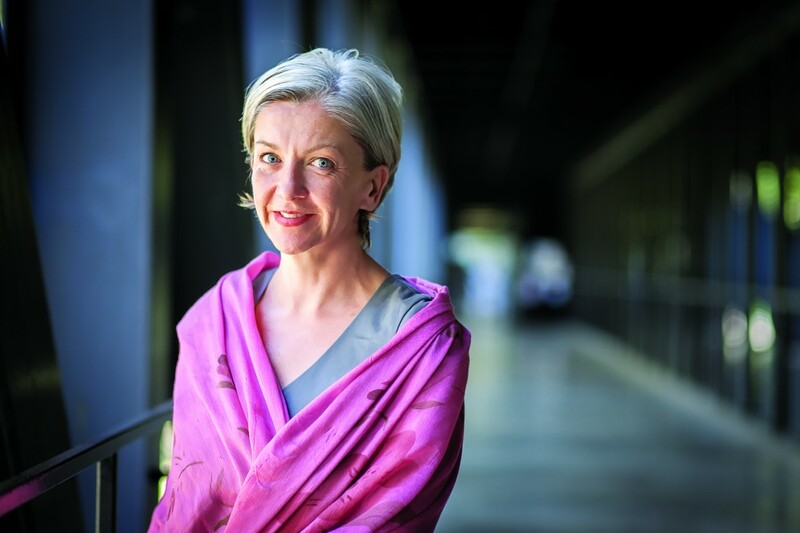 Caltech’s Beckman Auditorium was packed with approximately 500 members of the art, design and scientific communities eager to engage in a discussion on how data visualization has transformed from a mere means of representation into a tool for discovery. The data is out there. The challenge? Making sense of it all. 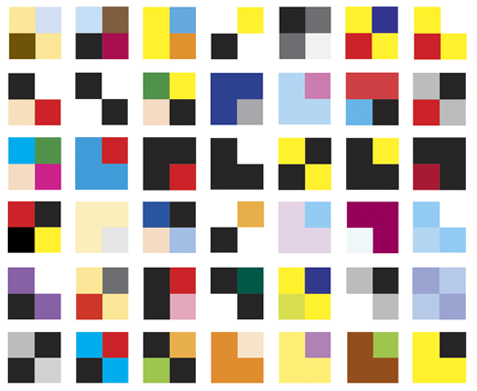 This Thursday, Art Center, Caltech and NASA JPL are joining forces to host leaders in the fields of data science and visualization from across the nation for From Data to Discovery, a one-day symposium on the emerging science of big data visualization. The event will be held at Caltech’s Beckman Auditorium from 9 a.m to 5 p.m. and is open to members of the Art Center, Caltech and NASA JPL communities. The event is free but seating is limited, so reservations are required. Today is the last day of the Interaction Design Conference (IxD13) in Toronto, the sixth annual conference organized by the Interaction Design Association (IxDA), an international network dedicated to the professional practice of interaction design. 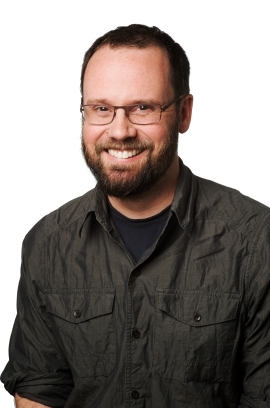 Earlier today, Jason Brush, executive vice president of creative at the Emmy and IDEA award-winning interactive marketing agency POSSIBLE, and the newest faculty member of Art Center’s recently created Interaction Design Department, gave a presentation at the conference titled The Dream of the 90s is Alive. In the presentation, Brush reminded the audience that the early ’90s — “a time when Mark Zuckerberg was still in grade school, Steve Jobs had yet to return to Apple, and computers still had floppy drives” — was a time in which artists, filmmakers, authors and philosophers made the first technological forays into applications that drive global culture and communication today. Apparently, size might not matter — at least when it comes to the future of smartphones. The tech world was buzzing this week with news that IBM might have found a way to make microchips smaller, cheaper and faster by substituting silicon with carbon nanotubes. But Maggie Hendrie, Interaction Design Department chair at Art Center, told Marketplace that size isn’t the most important feature for smartphones when looking ahead. 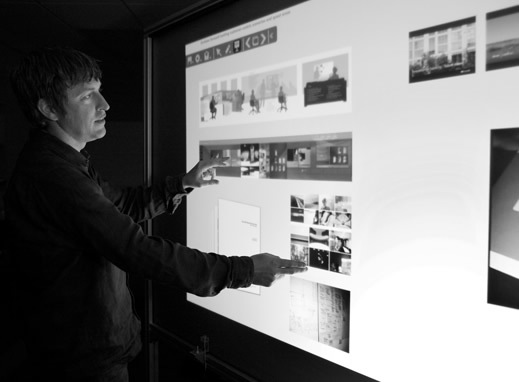 Alumnus Ian Sands PROD 95 in Microsoft's prototyping lab, testing a TouchWall. This Fall term, Art Center took another step in its evolution and launched an Interaction Design (IxD) degree program headed up by user experience pioneer Maggie Hendrie. Now, wait a minute, you might be thinking, hasn’t the College been teaching interaction design for years? After all, Art Center has alumni working at Google, Microsoft, Samsung and virtually every company exploring the boundaries of interactivity. The answer to that, of course, is yes, Art Center has indeed been preparing its graduates to enter the field of interaction design for the better part of two decades. Take for example alumnus Ian Sands, the co-founder of vision and strategy firm Intentional Futures, who graduated from the College in 1995 with a degree in Product Design. 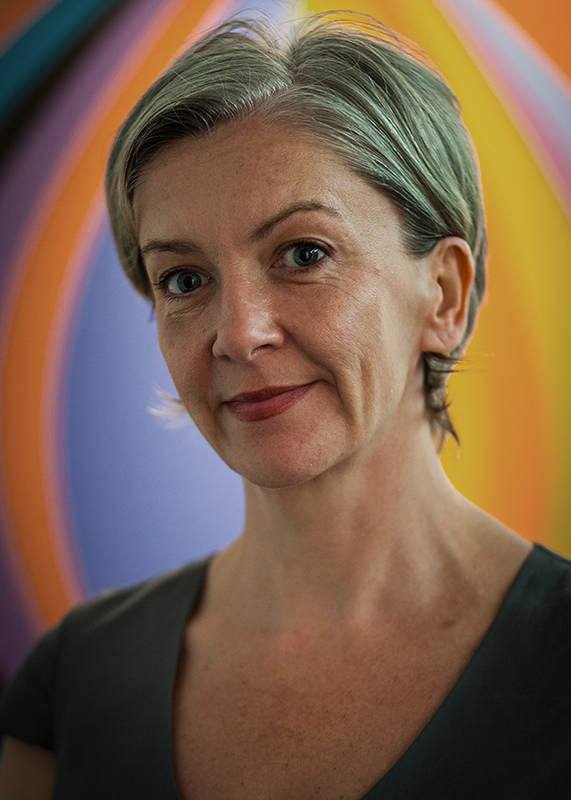 Maggie Hendrie, Art Center's new chair of Interaction Design. This coming Fall Term, as part of the College’s Create Change initiative, Art Center launches a new undergraduate Interaction Design degree program, in which students will learn to think deeply about user experience, apply technology creatively and invent new approaches to interaction and design. We recently sat down with Interaction Design Department chair Maggie Hendrie and asked her what prospective students should know about the new program. Dotted Line: What is Interaction Design? Maggie Hendrie: People interact with every object or system in their world, whether it’s human-made or natural. Interaction design is the process and craft of how people interact with artifacts, systems and services. We see this everywhere today in mobile apps, electronics, web sites, games, social networks and public spaces. Interaction design focuses on the user experience; how real people think, feel and behave when they use a product, environment or system. 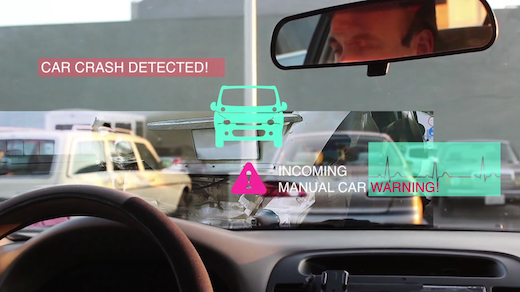 Does Interaction Design go beyond working with technology? 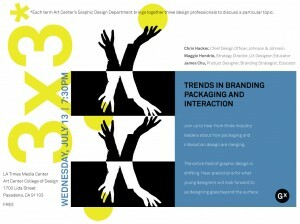 Tomorrow, join the Graphic Design Department as they present 3×3: Trends in Packaging and Interaction. Hear from three industry leaders as they discuss how packaging and interaction design are merging, and the entire field of graphic design is shifting. They’ll share their predictions for what to look forward to as design goes beyond the surface. Wednesday, July 13, 7:30 p.m.